Charles Weathers at Hickory Hollow, the apartments he developed in North Albany, on Monday. The second apartment development to be proposed in North Albany has just won city approval, so I was wondering how things had worked out at the first. On Monday I chatted with Charles Weathers, whose 48-unit Hickory Hollow was completed this summer. Because the zoning on the property off Northwest Hickory Street allowed for apartments, the city in 2017 approved the site plan over the objections of the owners of neighboring single-family homes. An Albany property management firm, Diversified, part of the Conser real estate family, manages the project. All but one of the 48 units have been rented. Weathers told me that including everything — the land, plans, permits, construction — Hickory Hollow cost $5.3 million. Harvey Cain Construction of Salem built the place. When it was all done, the costs came in $1,400 under the budget. The complex was to have a playground. Turned out that the setbacks required for even small play equipment made that impossible, so Weathers turned the space into a community garden, with raised beds. At one end of the complex, there’s also a fenced, grass-covered dog run. Weathers lives in Salem and has built and sold houses. This was his first apartment project. He was surprised, he says, that getting bank financing for his apartments was less of a hassle than for a single home. But now, he says, he’s looking for a site to develop storage units, for which there seems to be a growing need considering all the apartments being built. Speaking of which: On Sept. 6 the Albany Community Development Department approved a site plan and floodplain development permit for the second North Albany apartment complex. That is Sunset Village, a complex of 40 units in two buildings at 321 and 333 Hickory St. N.W. The project, on a 2.6-acre site just west of a private driveway known as Ridders Lane, is being developed by a company in Fond du Lac, Wis.
Like Hickory Hollow, the Sunset Village buildings will have three stories. The buildings are sited to back up to Hickory Street. The parking lot, with 68 spaces, and a playground are planned on the buildings’ north side. The two complexes on Hickory — one completed, the other planned — are dwarfed by an apartment project the planning division approved back in May on the other side of Albany. There, 132 units are planned on a site northwest of the traffic circle on Knox Butte and Timber Ridge. 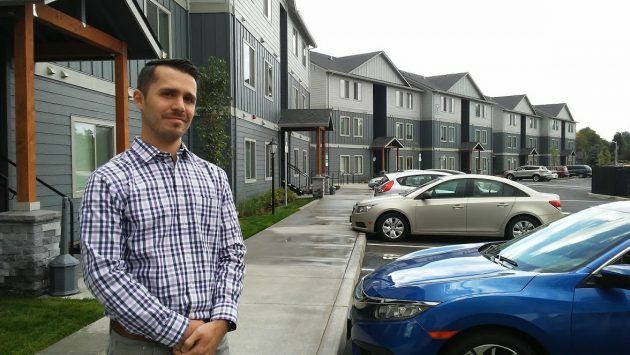 And in February, the city signed off on 27 more units in Phase 3 of the Plum Tree Apartments off 34th Avenue. The Sunset Village apartments are planned to go here, on the north side of Hickory Street. So what is the city going to do about the streets and schools…that is a lot of people to be putting into an already over crowded area…. Are any of these apartment buildings for adults only and/or for low-iincome people? Be real. 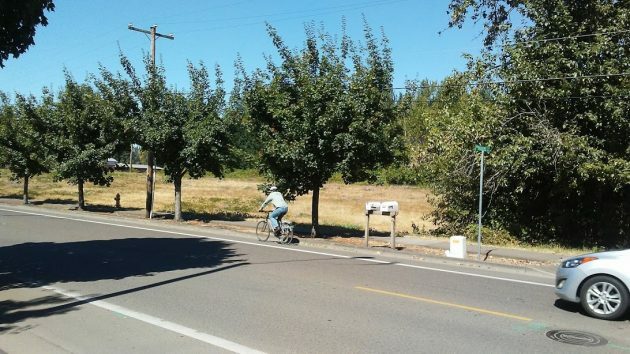 This is North Albany..A suburb of Corvallis..No way low income people will be allowed……. Perhaps the Weathers owned-operated storage facilities will one day be featured on the History Channel’s “Storage Wars” program. More importantly, how is it that a Linn County DA , Wynhausen, and candidate for Linn County judge is allowed to put up sign schlepping his candidacy on various public thoroughfares. I was under the impression that public thoroughfares are off limits to candidate signs. Wynhausen, who spends his time putting minor criminals away for as long as he can to gin-up his statistics now has a lawn sign in what I believe is a state park across from the Downtown Albany community theater and another I’ve seen on Knox Butte Rd. Apparently, the Assistant DA does not respect the Albany City Code. Perhaps he’s the wrong man to be a judge. That “park” is private property. Public property is off limits, but the private property right next to said public property is ok. Perhaps you should inform yourself about the placement of signs before you say things that are incorrect. You might look at his qualifications compared to his opponents if you want to find something that is outrageous, he has 20 years+ his opponent has less then 3 years, not even enough to qualify for a temporary position as a fill in judge……..